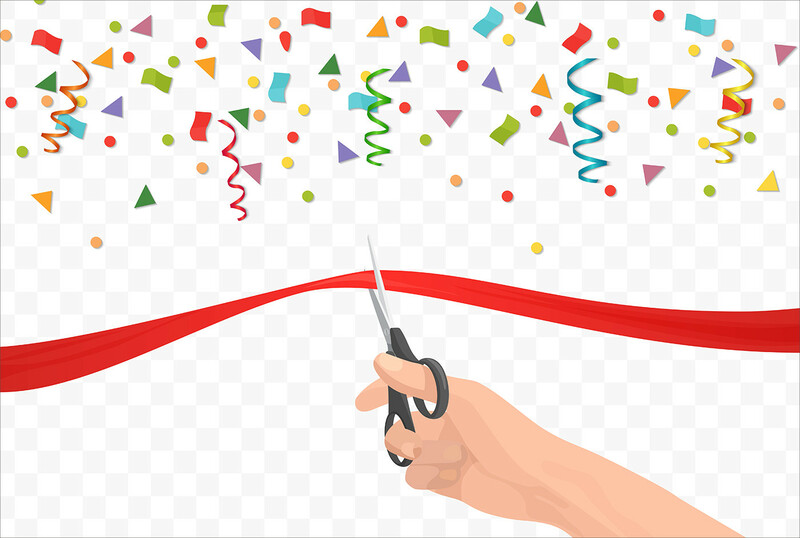 Achieving something you’ve always wanted calls for a celebration, especially when it is something as huge and exciting as owning your own restaurant or introducing a new product launch. Holding a party is a must and inviting your colleagues and friends is mandatory. You may also see Music Banners. 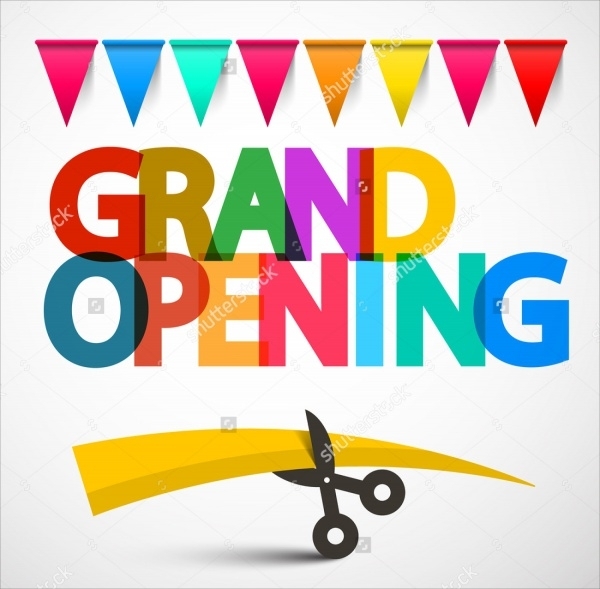 Plan your party and host a big opening ceremony or invite them with these welcome banner design and opening banner design templates. 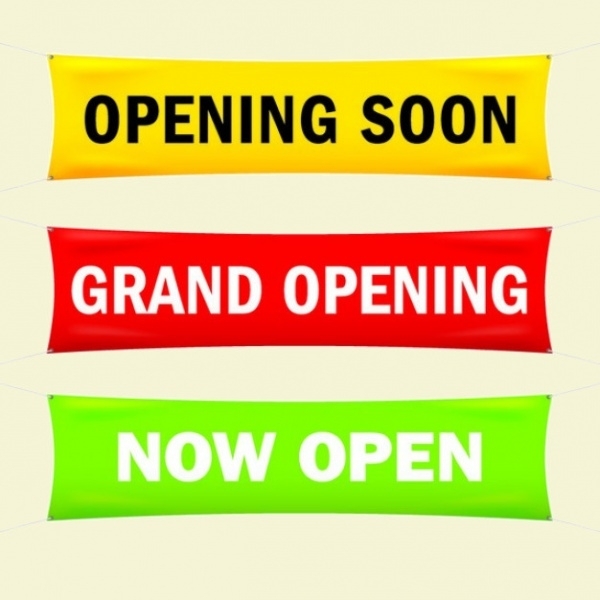 These banner designs can be easily customized to favour your product or your mood. You may also see Corporate Banner Designs. 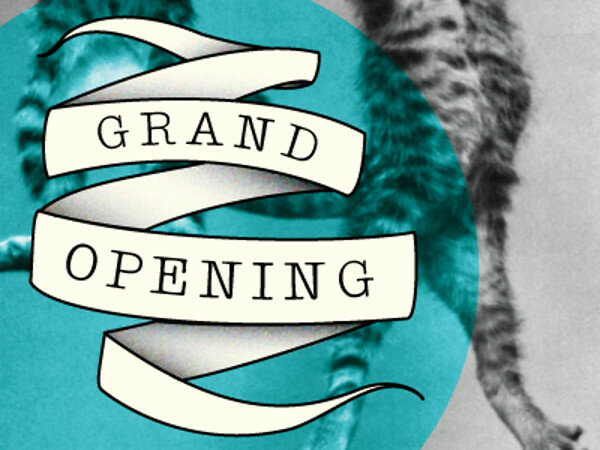 This postcard design is designed, using vibrant colour with a subtle background, is originally created for the opening of the animal clinic. This can also be used for the opening of a zoo, or have an animal themed party. You may also see Promotional Banners. This late 19th century themed party banner is classy and retro looking, great for themed and retro parties. It is playful and beautiful, with its subtle drawing, making it look realistic. 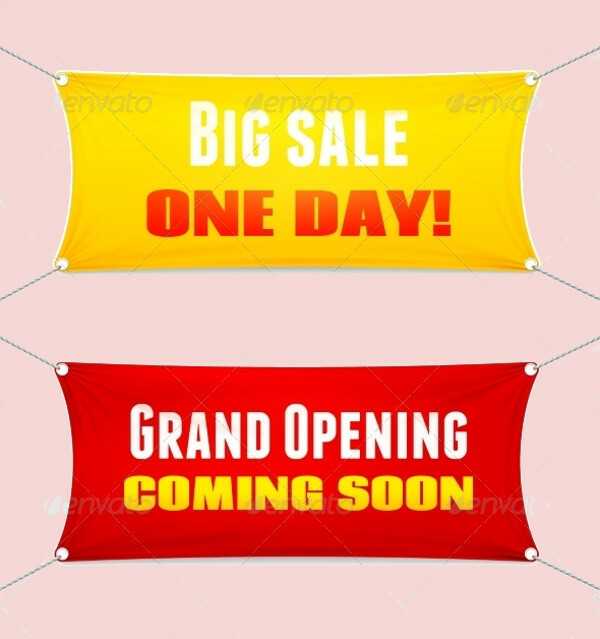 These bright coloured custom designed banner templates are attractive and simple, great for restaurant or building opening. They are cool and childish, perfect for a toy store opening or a party. 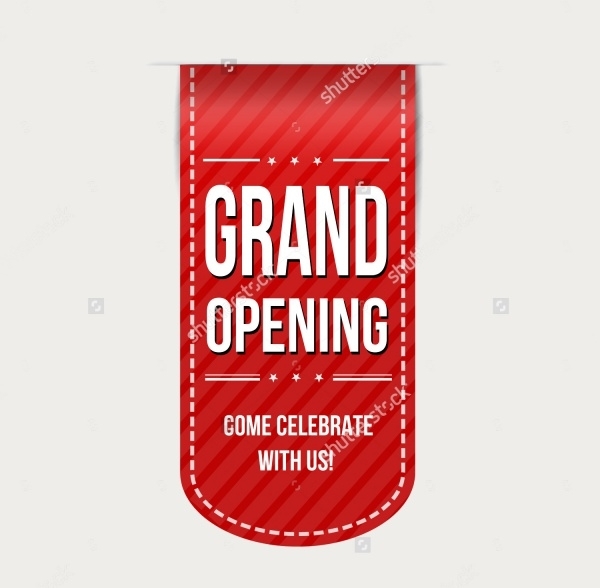 This practical grand opening banner is simple, with the standard red ribbon and scissor theme. It is available in JPEG format for editing. 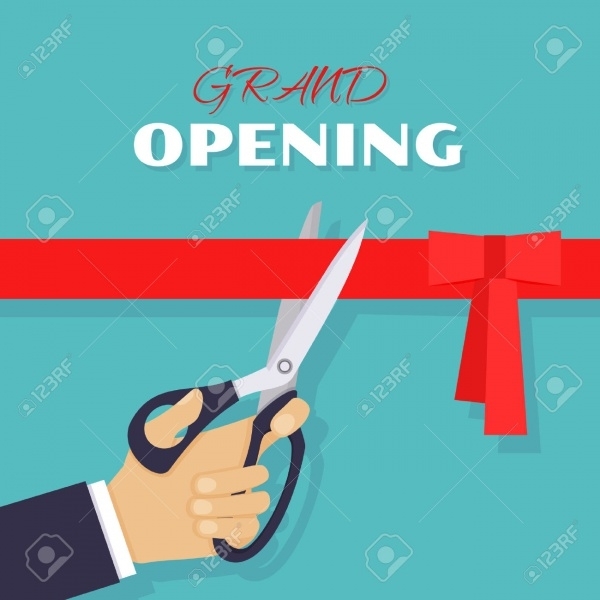 This grand opening banner is simple and yet classy, with the use of bright solid red banner with simple practical font over it. This gives the feeling of a red carpet, and can be used for that purpose. 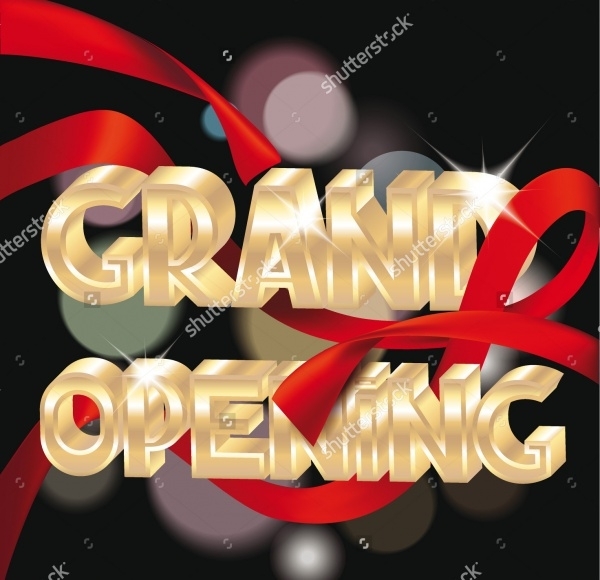 This grand opening banner is beautiful and is available in two classy colours of royal purple and blue. 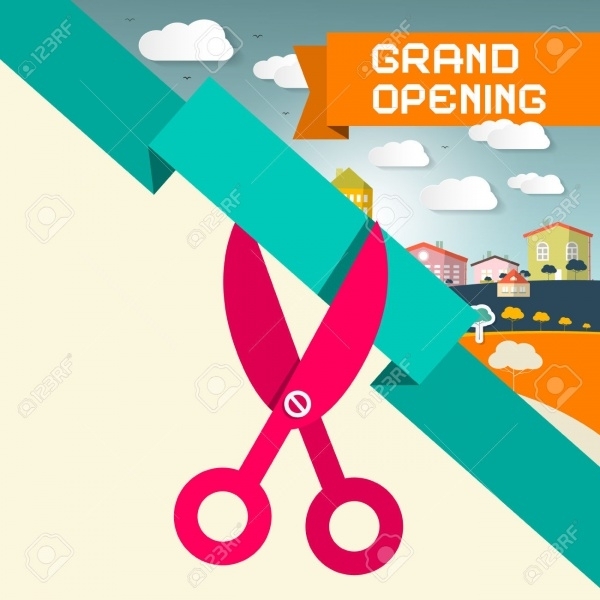 The banner uses the classic ribbon and scissors theme, except, this is done in style. This can also be used for a cocktail or other elegant party banners. This cute cartoon banner is attractive with its large clear pictures and use of bright colours. This can also be used for kid’s birthday party. It is available in JPG format and in various sizes. 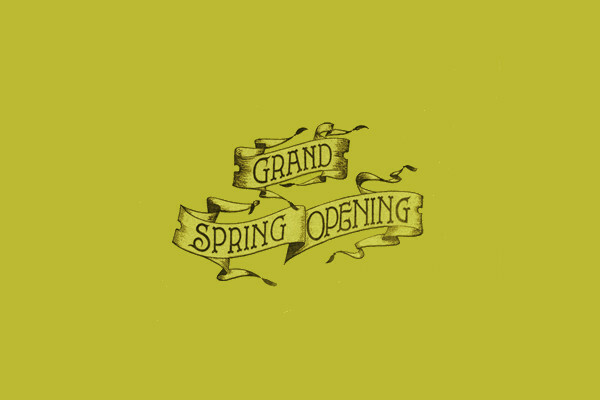 This practical grand opening banner with its white background is simple and unique, with its vertical design. It is available in high resolution and in various sizes for customizing. 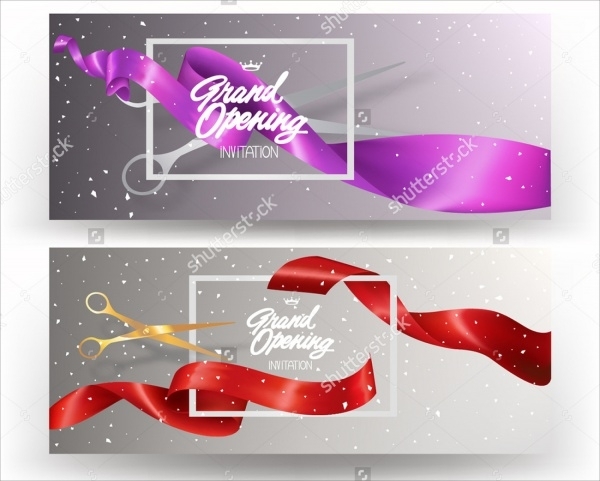 This classic ribbon cutting opening banner design is bright with attractive colours. It is available in EPS and JPG format. 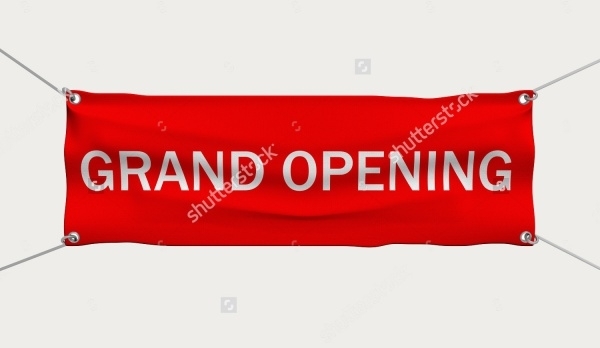 The classy ribbon cutting concept of opening banner design has been taken to another level. 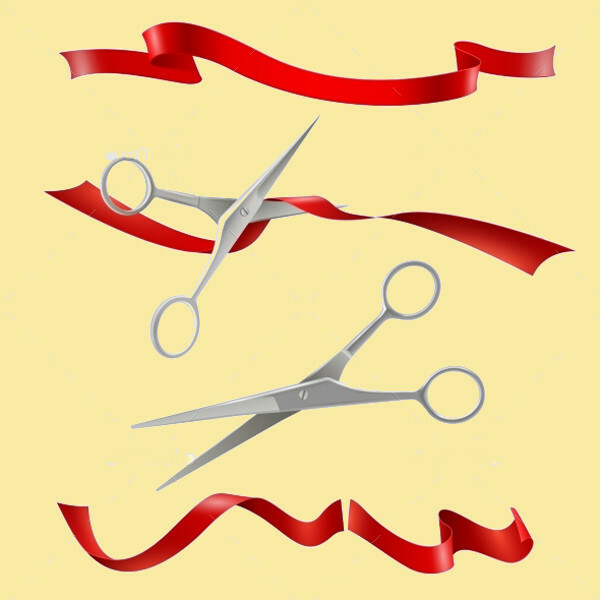 The use of silk ribbons with frames and scissors is beautiful and is available in high resolution and in two colours. 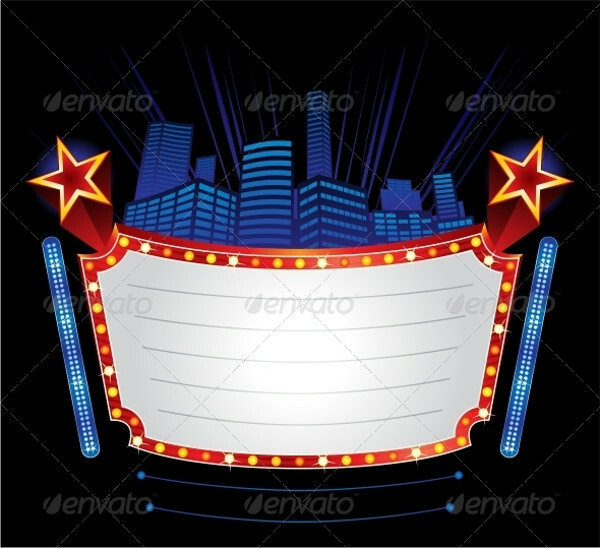 This circular style opening banner template can be used as a sticker. It is available in JPG format and in various sizes. 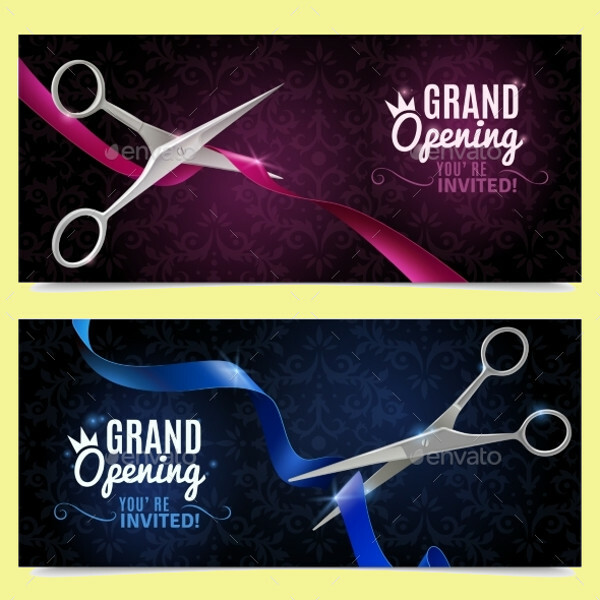 This silk ribbon and scissors cutting template can be edited and used for websites or even included in other banners or posters. 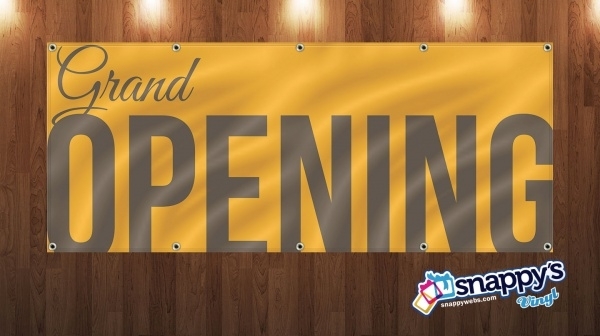 This simple opening banner can be used for business openings. It is available in various sizes. 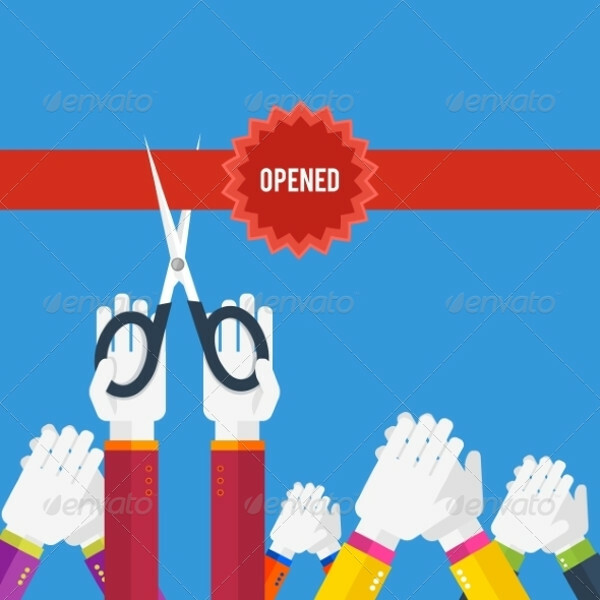 This pinned poster design can be customized to make it a personalized opening banner. 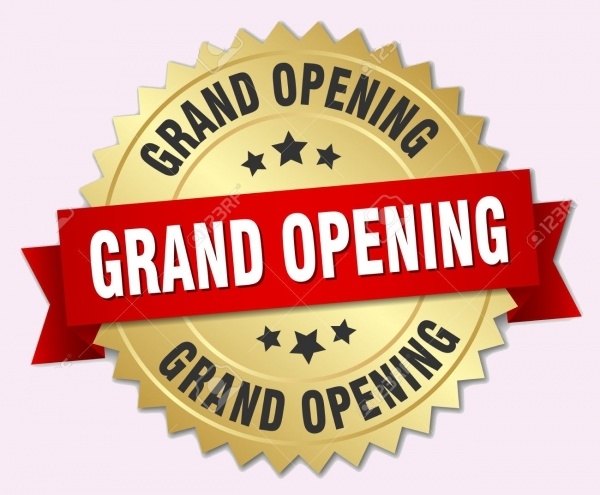 Celebrate the joy of opening with these super cool and fun grand opening banners and have fun. These banners are fit for any type of opening events. These banners can also be edited and be used as party banners. Customize your own and get creating.